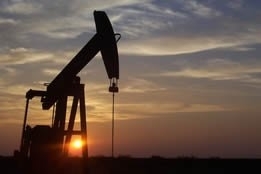 Too much crude supply and weak demand: it's a scenario that has played out before, and it's one that Sadad I. Al Husseini, founder of Husseini Energy, believes will dominate 2019. Al Husseini told CNBC during the Organization of the Petroleum Exporting Countries' (OPEC) Vienna summit that "2019 looks like it's going to be a weak year, demand looks like it's going to be quite soft." After stressing the importance of OPEC agreeing upon a production cut, he noted that it's not clear how the effectiveness of such a deal would be compromised by outside countries and even OPEC members such as Iran - although he added that demand would likely pick up during the latter half of next year. Al Husseini's concerns about weak demand versus big supply was echoed by Bloomberg, which noted that "neither Russia nor Saudi Arabia desires long-term cooperation on production cuts: in the coming years, both will want to pump as much oil as they can" in order to make as much revenue as possible as both countries' reserves steadily decline (proven oil reserves of the former will be exhausted in about 26 years, while the Saudis will be able to pump for another 61 years). The news agency went on to state that the prospect of both countries wanting to pump as much as they can in coming years "may be why big output cuts aren’t on the agenda even now: a total of 1 million barrels per day [bpd] rom OPEC plus Russia, which was being discussed at the OPEC meeting in Vienna, would hardly be earth-shaking." Capping this line of thought on Thursday was Regina Mayor, global sector head at KPMG, who told CNBC that peak demand for oil will occur in 2036 at 110 million bpd (however, she also said she believed OPEC would "take decisive action" on Thursday with regards to making a cutback deal - which proved not to be the case). However, the pro-crude production Mayor added that even when demand wans, it will be in the range that exists today, and that continued pumping will be required to fulfill that demand as well as to support products dependent on oil content. Not discussed in Thursday's broad range of analytical discourse, but worth noting given that OPEC has one day left to come up with a production cut deal, is Qatar abandoning the cartel and widespread speculation that Iraq will soon follow, thus further supporting a sense of disarray and inefficiency that has come to characterize the organization. All of the ships that we're designing and building today are eventually going to be operating at net zero emissions, seminar hears. Greenergy looking to take advantage of the upcoming IMO 2020 rule. New PCTC will go beyond IMO's target for a 40% reduction in carbon intensity by 2030.